Water Safety Swim Lessons For Kids: Spear’s Survival Swim Experience. 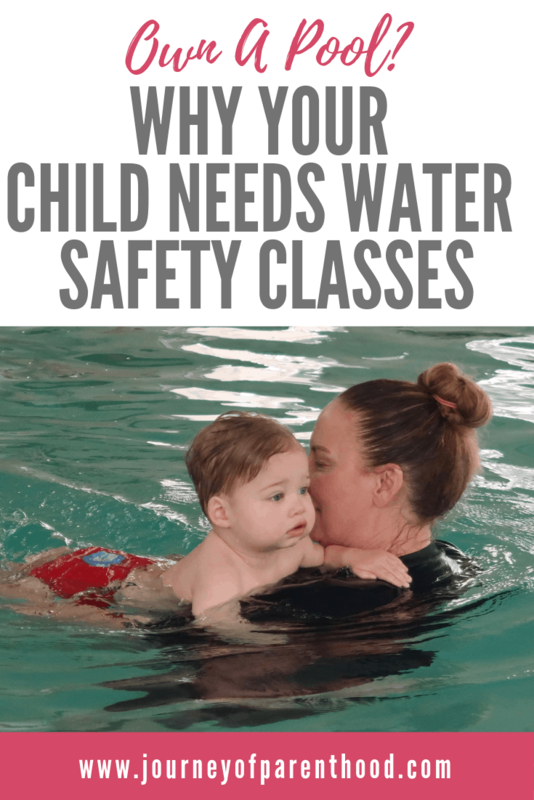 I am a HUGE believer in the benefits of water safety swim lessons and each of my four children have taken part in a survival swim class with an instructor. Second leading cause y’all. Of death. I don’t play around when it comes to car seat safety (car accidents being number one). And I don’t play around when it comes to water safety. Our home has a swimming pool in the backyard so concerns about our children staying safe around water are something I have to be very mindful of and focus on. Even if you don’t have a pool at your home, children are still often around large bodies of water. Swimming pools at other people’s homes or communities. Lakes. Ponds. Rivers. The ocean on your beach vacation. 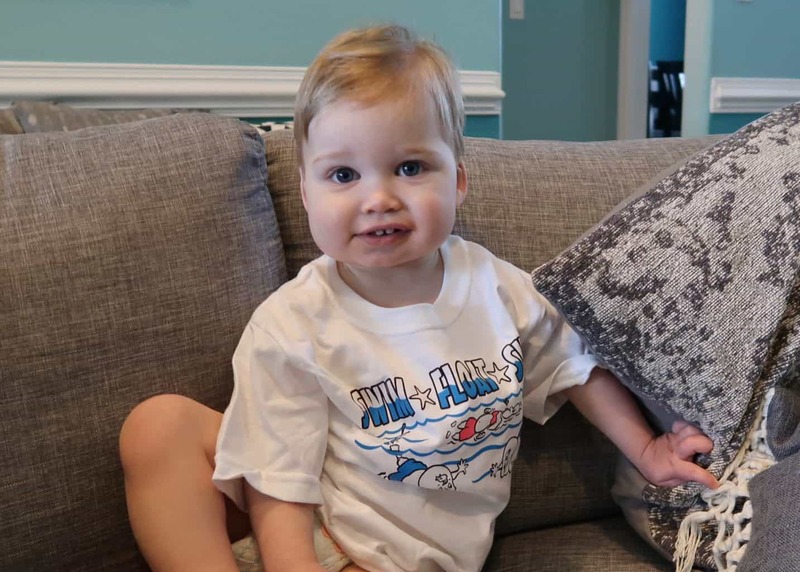 Water safety techniques benefit everyone and help instill a love for swimming for life. We have been so blessed by Tiny Bubbles and Ms Margie over the years. She has taught all four of our babies how to swim-float-swim and the techniques needed to ensure their ability to float if/when they fall into the water. 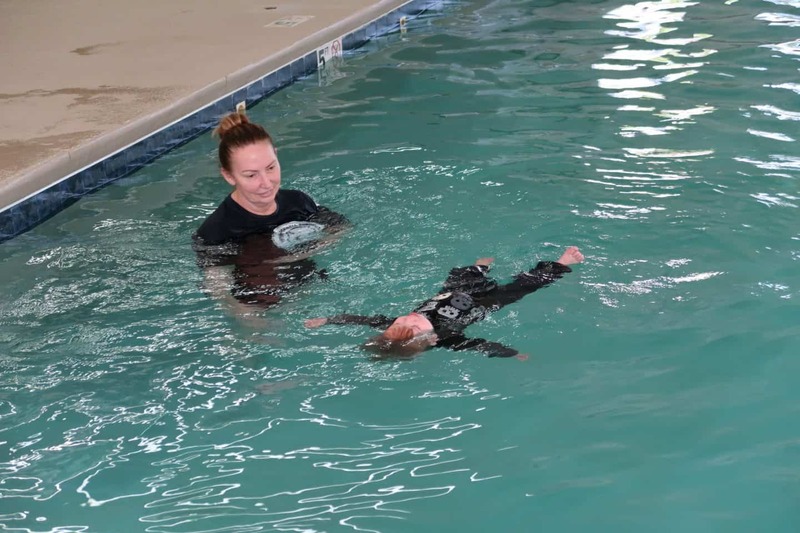 When looking for a survival swim course be sure to look for one that is an approved swim school by the United States Swim School Association. Tiny Bubbles is part of infant aquatics. As a toddler Britt fell in the pool. I was standing RIGHT beside her and before jumping in to grab her I just waited a second to see what she’d do. Sure enough, she turned right over onto her back and floated. 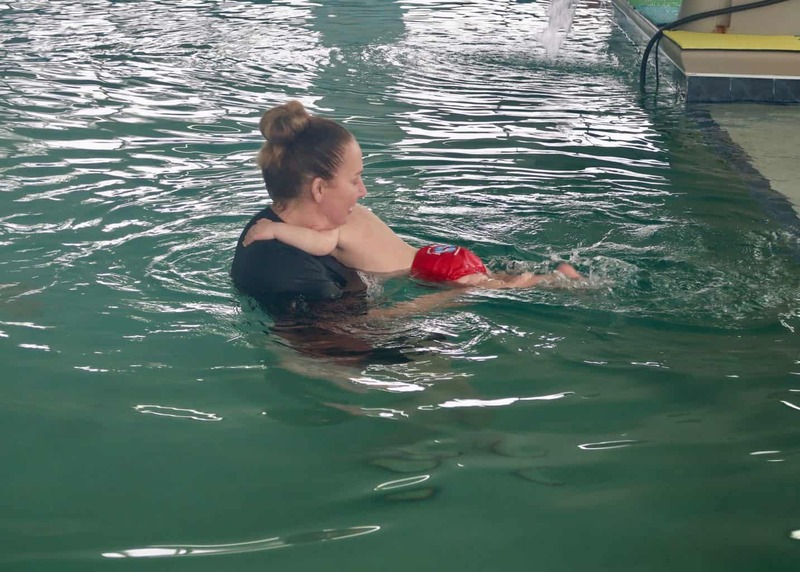 As defined by our swim instructor: Survival Swimming is the ability to float and create, regardless of the water’s depth, for an indefinite period of time. 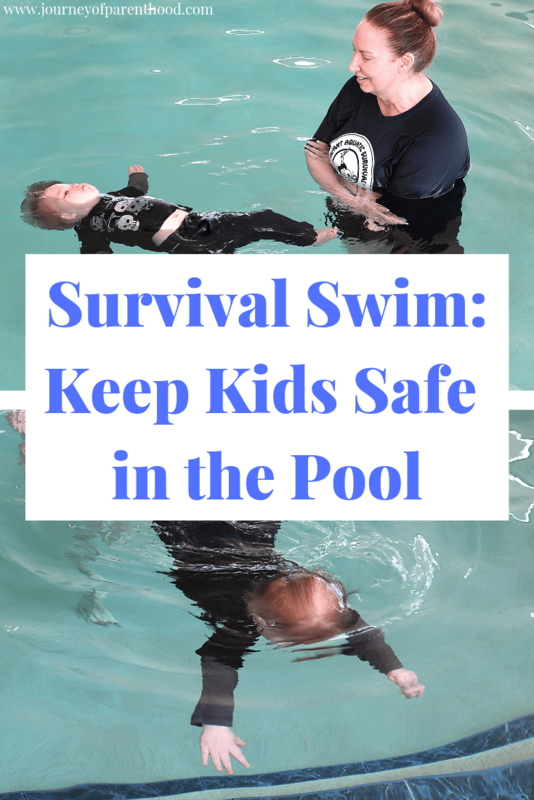 Survival swim lessons aren’t a guarantee your child won’t drown. They don’t make it so you can just let your kids go swimming unsupervised. But having a child know how to float in the water gives you more TIME. More time to get to them. More time to realize you don’t see them. More time to check the pool for them (by the way…if you don’t see your child, ALWAYS check the pool FIRST). Spear just graduated from his survival swimming skills class. I’m so thankful Ms. Margie was his instructor! 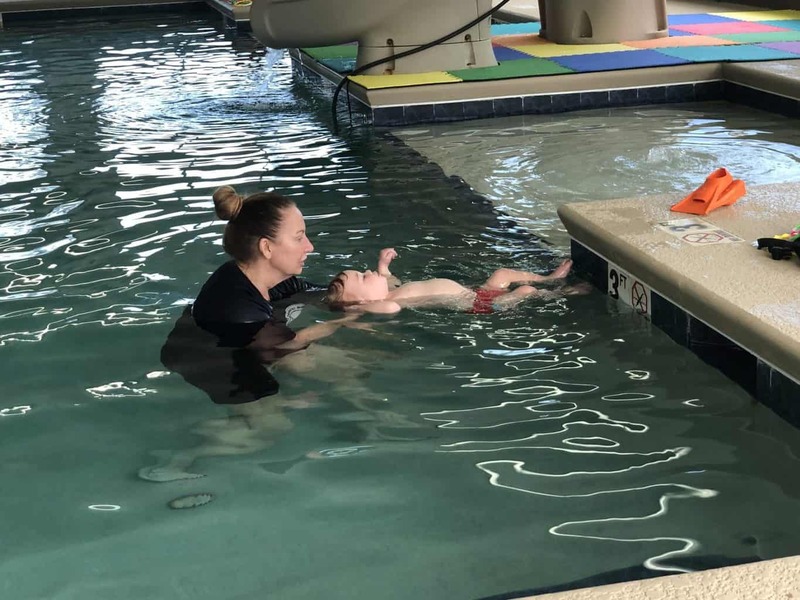 During the survival swim program, children don’t just learn how to float, they also work on motor skills that are important in development. 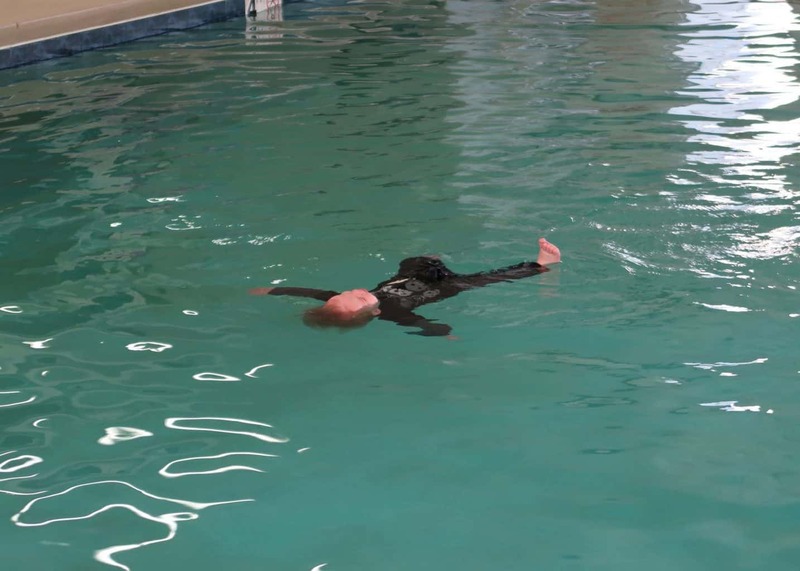 Spear was not yet walking when he started his water safety class. His class took place 4 days a week over a 5 week period. 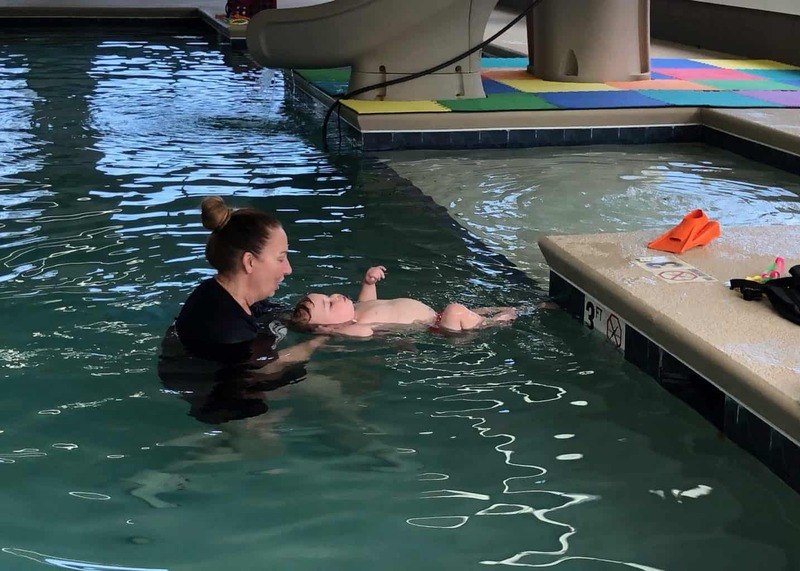 All of my kids were over a year old when they took their survival swim classes but they can be taken at as young as 6 months old. 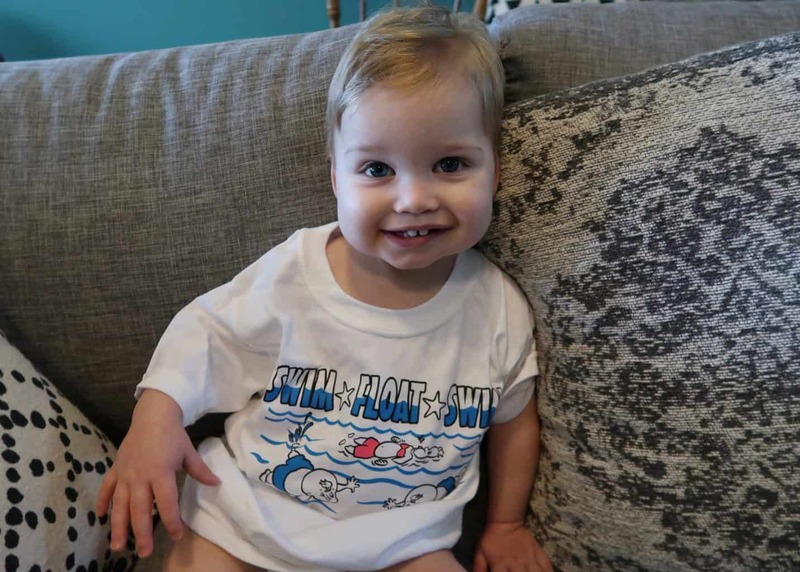 Yes, even an infant can learn water safety! 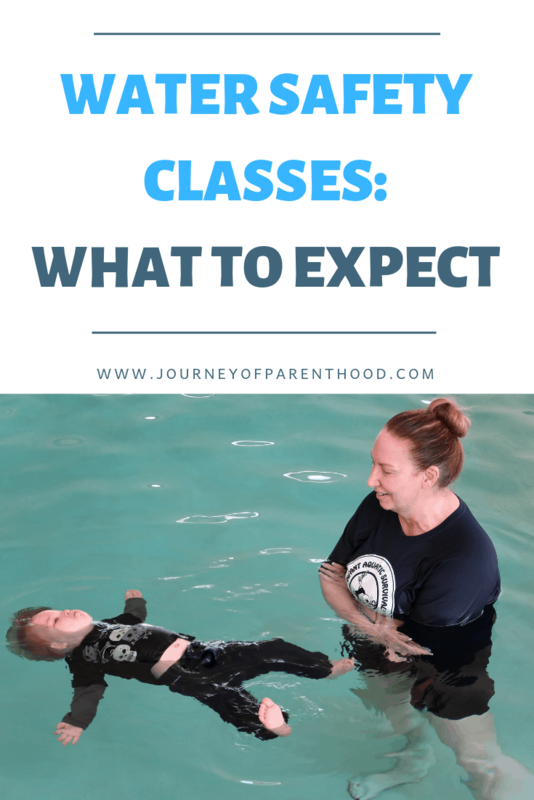 The first phase of Spear’s classes focused a lot on being familiar with and comfortable in the water. 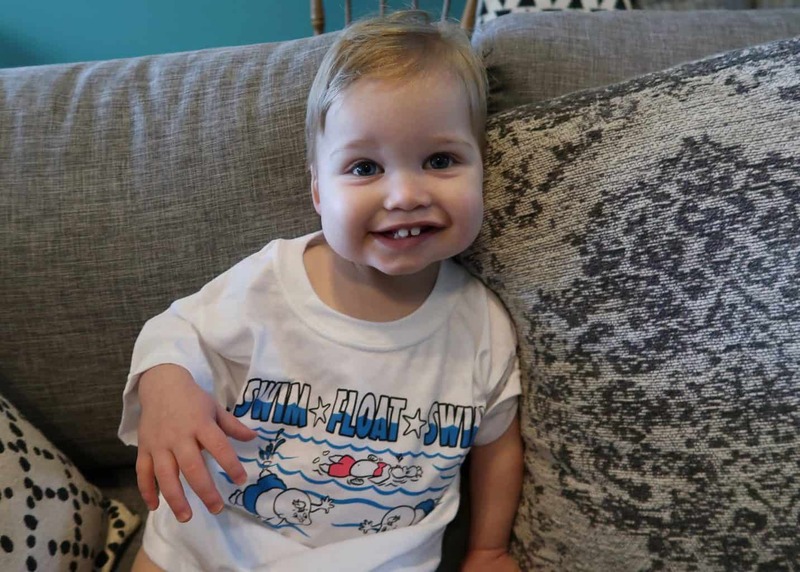 I truly believe Spear working through these lessons helped him in starting to take his first steps and start to walk! 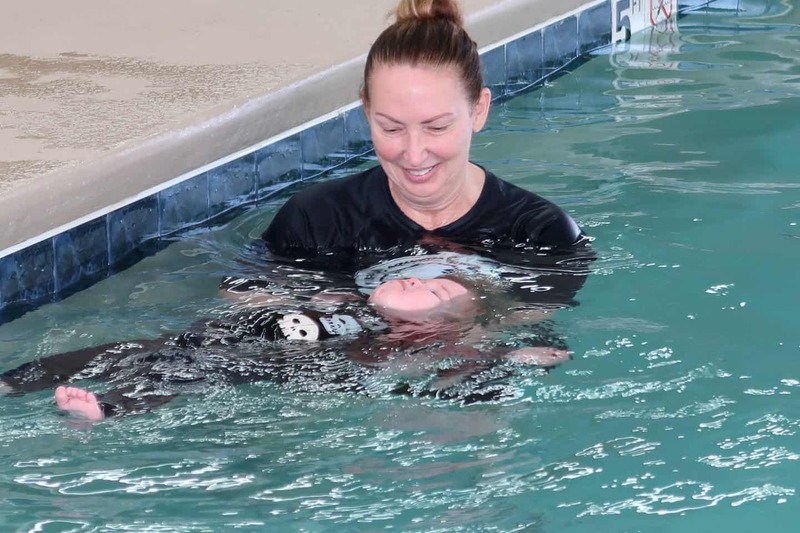 An important element of survival swim lessons for children is learning to close their mouths when in the water. Britt was a natural mouth opener. She ALWAYS had her mouth opened and learning to close it under water was very difficult for her and took up a LOT of her time in her water safety class. Spear naturally closed his mouth from the very first day of lessons! He did GREAT closing his lips and holding his breathe right from the start. When working in the water with the kids Ms. Margie always hums and then dunks them under water to help them learn to hum (close their mouths) before going under. It works so well in helping them to understand! It is common for children to leave their mouths open and to take in some water during their lessons. A big part of the process is parent support, don’t make a big deal about the moments when they take in a little water. If you are calm, they will be too! 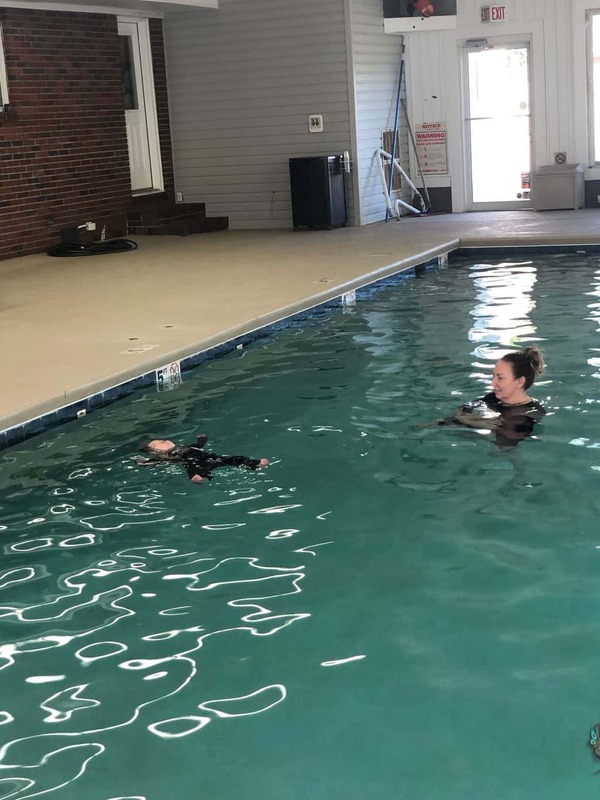 The main goal with water safety classes is for a child to be confident and comfortable in rolling from face down in the water to a floating position. While floating a child can breathe and stay above the water, again allowing TIME for an adult to get them! 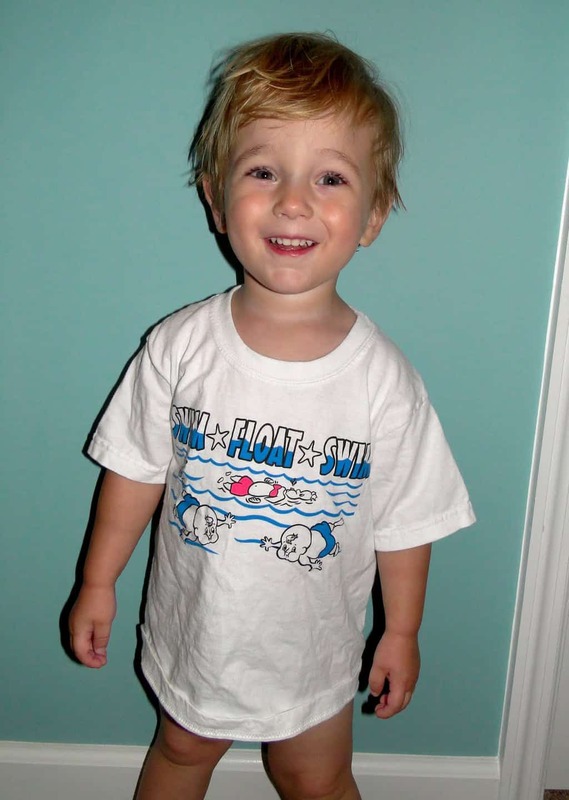 As children get older they learn the routine of swim – float – swim. 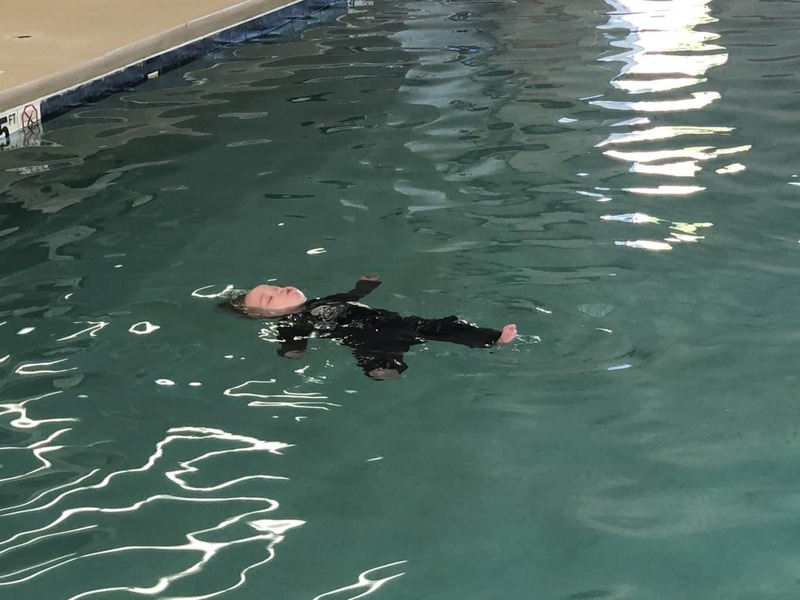 My older kids swim in the water and then turn over on their backs and float when they need to rest or get air. The float portion of their swim routine is referred to by our swim instructor as “starfish” which is such a great way to think about it! As the baby or child floats the goal is to resemble a starfish. Arms out, legs out, relaxed. Peacefully floating. During the lessons their teacher has them lay on their back and “touch toes to the blue” which is the tile along the side of the pool. She works with them on learning to tilt their head back, learning to relax while on their back and learning how to turn from belly to back. As they progress in the class they learn how to get to their backs from a variety of positions. When kids fall into the pool or another body of water they don’t fall in only one way…maybe they fall head first, maybe back first. 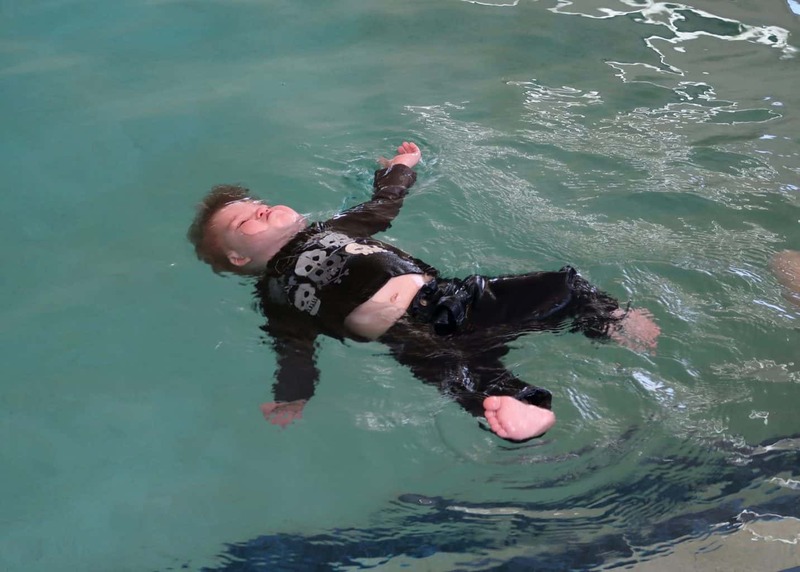 Regardless of how they may enter the water, it’s crucial for the child to be able to get into a safe floating position. When children fall into a lake. Or pool. Or any body of water, it is not a planned event. It’s an accident. And when those accidental moments happen? The child usually is fully dressed. I fell in our pool as a child. I remember it. I was fully dressed and following my dad around the pool as he was cleaning it. I had something I was using to “help” him clean and I fell in. My dad came right after me and I was fine (I’d also taken a survival swim course!) but it always stuck out to me that I was wearing clothing. Clothes are heavy. They are awkward when wet. 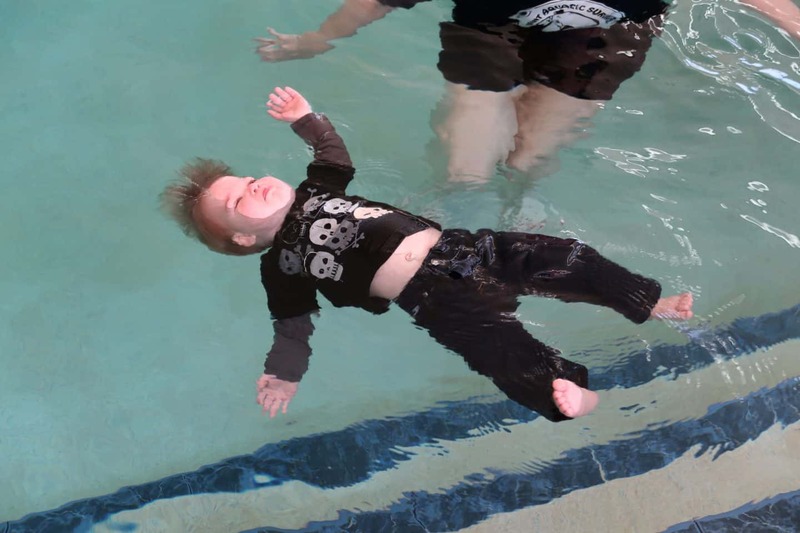 It’s important for children to be able to turn themselves onto their backs and float while fully clothed. That is why our swim instructor has our kids wear pants and a jacket for their graduation. If they can perform all the tasks for floating while wearing heavier clothes, then they will be able to do it in lighter clothes too! Spear did a FANTASTIC job with his graduation! I also want to point out that Ms. Margie is ALWAYS RIGHT THERE. He’s never just left to fend for himself and she’s there guiding, supporting and encouraging the entire time! I am so, so sad by the news that our water safety instructor is closing the doors on Tiny Bubbles. I tried to pay really close attention to everything she did with Spear as it will be up to me now to work with him on these things! 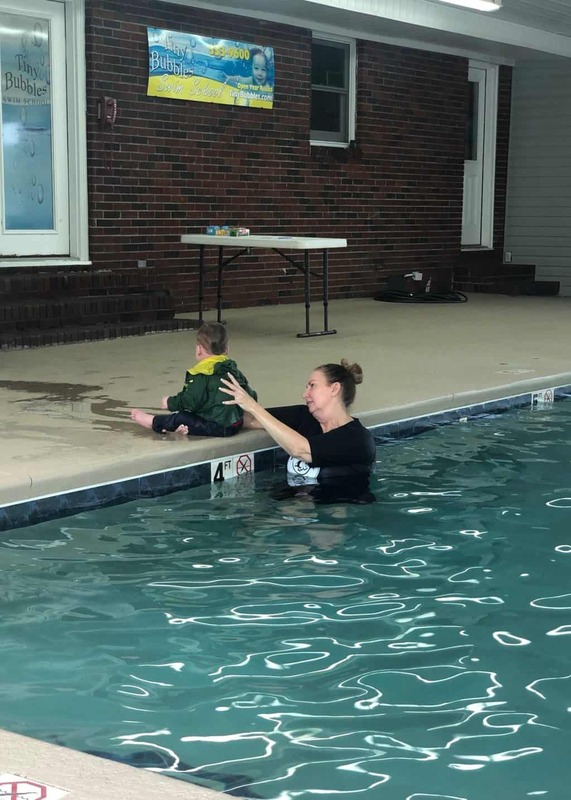 I’m thankful I’ve been through survival swim with three kids and have worked one-on-one with Ms. Margie in the past to understand how to best work with the kids in the pool on their skills. Spear did not do well with kicking. Early on in his lessons Ms. Margie went ahead and just focused on floating and encouraged me to work with him on kicking once he was better able to do so. At this stage he keeps moving his ARMS in the water and is thinking that THEY will get him where he wants to go. Boys are visual…he can SEE his arms but he can’t SEE his legs! As I work with him on kicking I need to hold his wrists together to help him focus on his legs. I also got some floats from Ms. Margie and need to have him sit on them and kick in the water too! Once he gets solid with walking, practicing marching at home with him will help with kicking as it reinforces that “one, two, one, two” rhythm. I can work on his starfish with him on the floor at home too and practice putting his head back and chin up! Two ways to fix a sinking starfish: Put two fingers under his shoulder blade and push up, and push down on his thighs can help too. 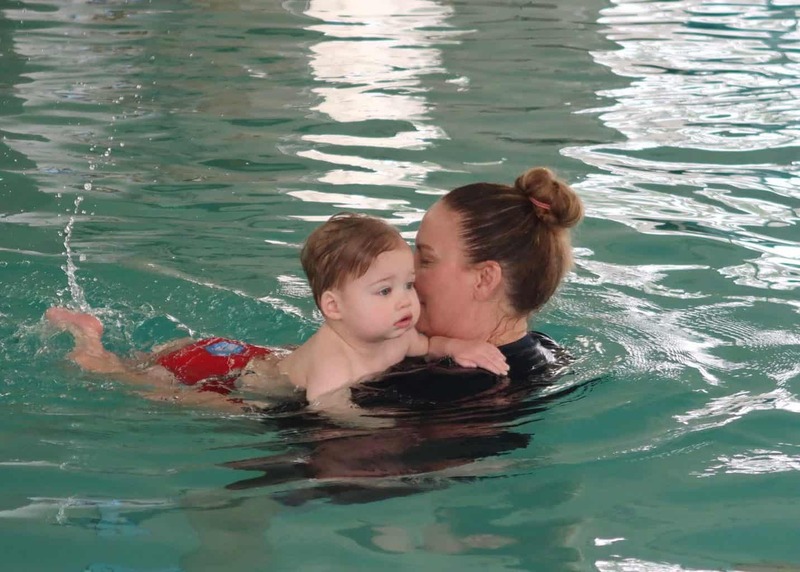 Parental support and involvement is crucial for kids participating in survival swim lessons. You need to be their biggest cheerleader! Yes, your child will very likely cry during their lessons. No, they will probably not enjoy them. But trust their instructor. Trust the process. It is there for your child’s safety. Let your child’s teacher teach and be supportive of their methods. If it is difficult to watch the lessons, then it’s best for you to leave. Our instructor has an area for parents if needed. To allow parents to watch the lessons without having their child able to see them. At home, be sure not to use ANY flotation devices with your child in the water. No floaties. No swim floats. Nothing that makes them float in the water. 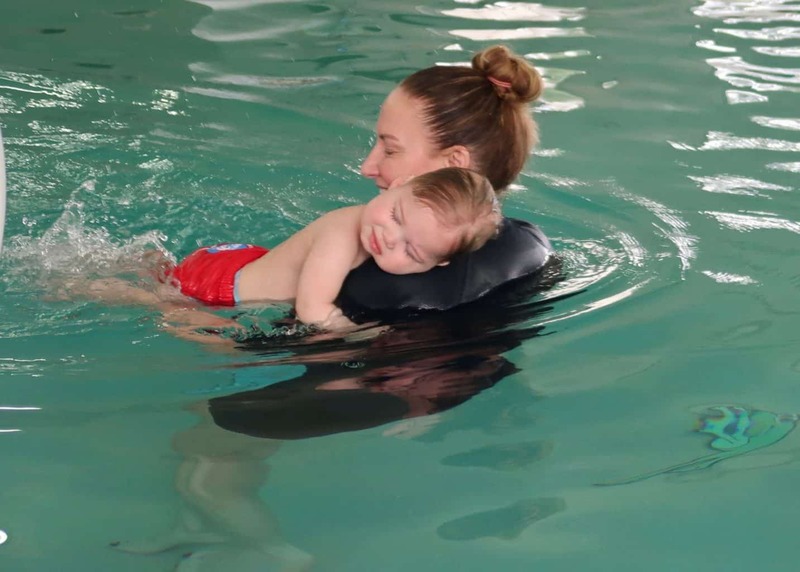 Using flotation devices gives your child a false sense of security in the water and can really cause them to take steps backwards from what they are learning in their water safety classes. A great tip to work on at home is to make bath time fun. 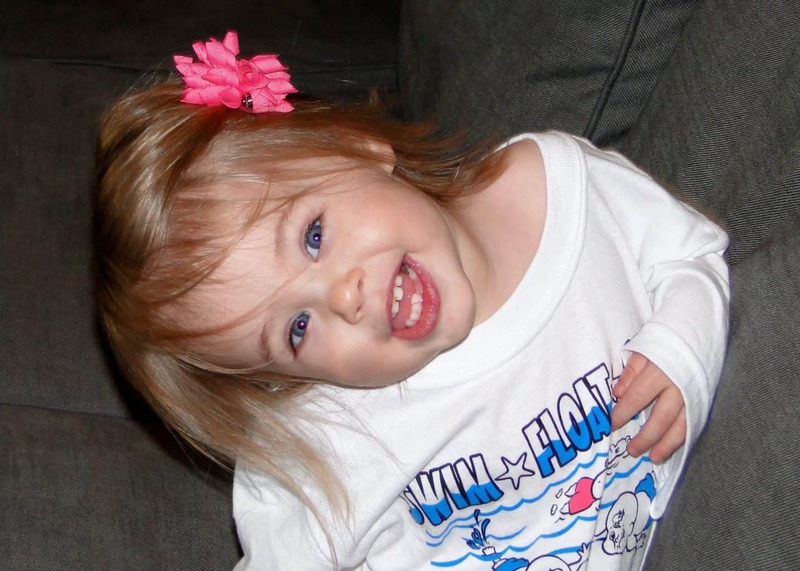 When you rinse your child’s hair in the bathtub don’t rush to wipe the water from their eyes, let them get wet! You can also work with them in the bathtub by blowing bubbles. Blowing bubbles in the water helps them to learn to close their mouths in the water and hold their breath. Let out the air rather than sucking it in! Exposing your children to water in a positive way is a great way to encourage them to ENJOY swimming and not to have fear in the water. This gives them the confidence to really work on their survival swim skills and tools! I am so proud of my little graduate and ready to get to work this summer with him in our pool! If you have a pool in your backyard or live near a body of water then survival swims are a MUST in my opinion. 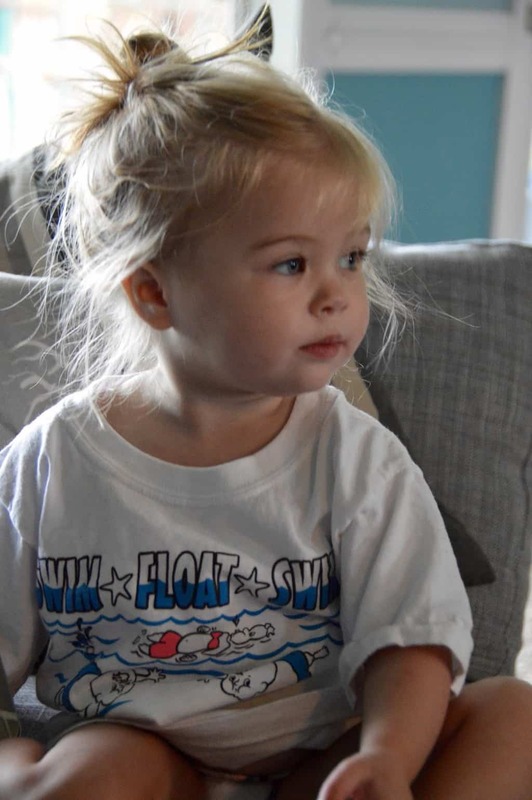 But even if you don’t have large bodies of water near your home, water safety lessons are still so important and truly instill a love for swimming in your children from an early age. 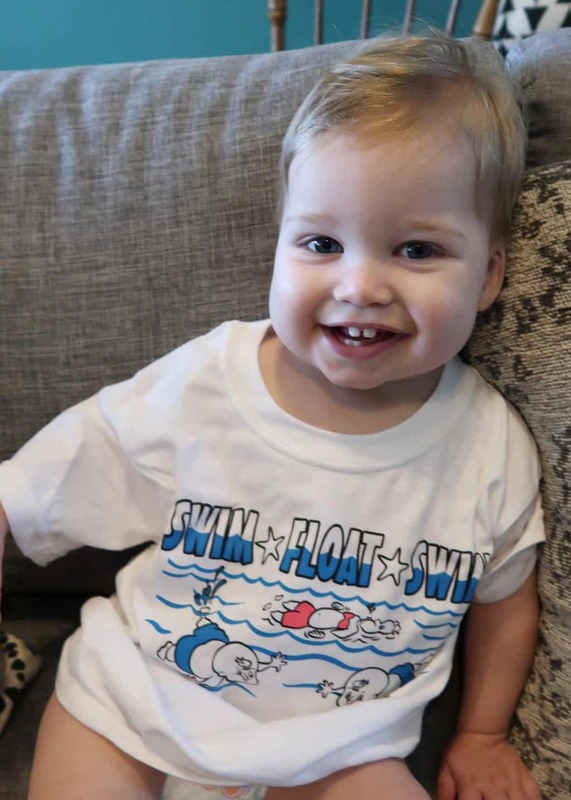 All of my kids have been able to swim from very young and it not only has made them safer in the water, but has made it more FUN for our whole family too! Oh how I recall Noah doing this at a gym here and it seems the lady came from Valdosta. I cannot recall her name though.. Jennifer invited me to graduation day….OH MY STARS!!! 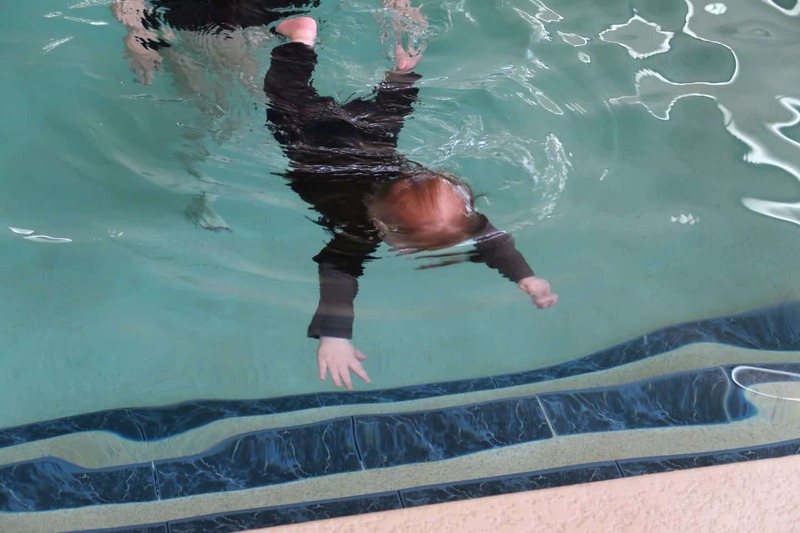 I was not prepared for the fully clothed through me in the pool or knock me off the ledge …..the Nanny in me got so nervous. I finally got up and went to the area where you could look in. Noah kept watching me and when he said help me Nanny…YEP it got up. I am proud she done it though… They had a huge above the ground pool and we had one as well, so it was needed. I do not recall Alden doing it, he was born a fish and I just took him out to the pool one day, pulled off the life vest and said let’s swin. And he did. We taught all our grandchildren to swin in that pool with the exception of Lillith. We took it down when she was a baby. We just got tired of having to keep up the chemicals and the cleaning and it is a lot more difficult than an inground one or to me it seems to be. Anyway, I love the videos and went down memory corner with all their videos swimming and graduation. Give them all hugs for me and tell them GiGi thinks they are the ;best brothers and sisters living in Valdosta..one of these days we will meet!! !